30A Home Builder serving Watercolor, Seaside, Seagrove, Watersound, Rosemary, Alys Beach, Santa Rosa Beach and more. Envision Builders Group is a 30A Home Builder and full-service general contractor serving Watercolor, Seaside, Seagrove, Watersound, Rosemary, Alys Beach, and Santa Rosa Beach in Walton County and Northwest Florida. 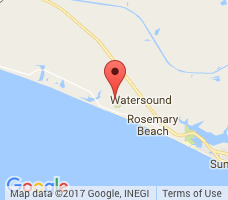 We are a full service general contracting company serving the people and businesses of 30A, Walton County and Northwest Florida. We specialize in custom residential and commercial projects of varying size and scope. Our reputation for our quality of work and integrity is the foundation of our success. View a Sample Project! With over thirty years of experience in the construction industry, Envision Builders Group has developed a reputation for the finest quality in residential and commercial building. We work carefully in conjunction with architects and interior designers to bring our clients’ dreams to reality, resulting in quality workmanship and on-time project completion, all within budget. Recently Featured in Cottage Style Magazine. Ron Guernsey and the Envision Builders Group did an amazing job building our beach house in Rosemary Beach. The house is just spectacular and the help and service we received even after we closed on the home has been great. Ron has been terrific to work with and made it so easy to get everything completed from our home in Texas so we could relax and enjoy our first summer at the beach in our new home. We are so happy with our beautiful beach house! Thanks so much to Ron and the rest of the Envision Builders Group!